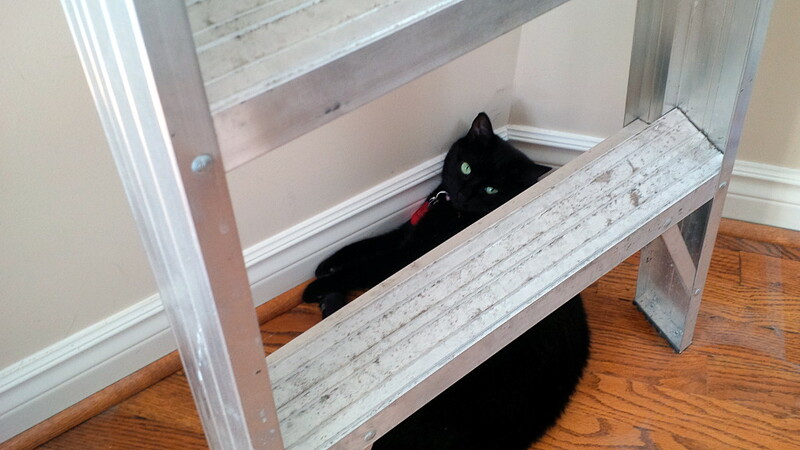 Black cat under a ladder on Friday the 13th; what could possibly go wrong? 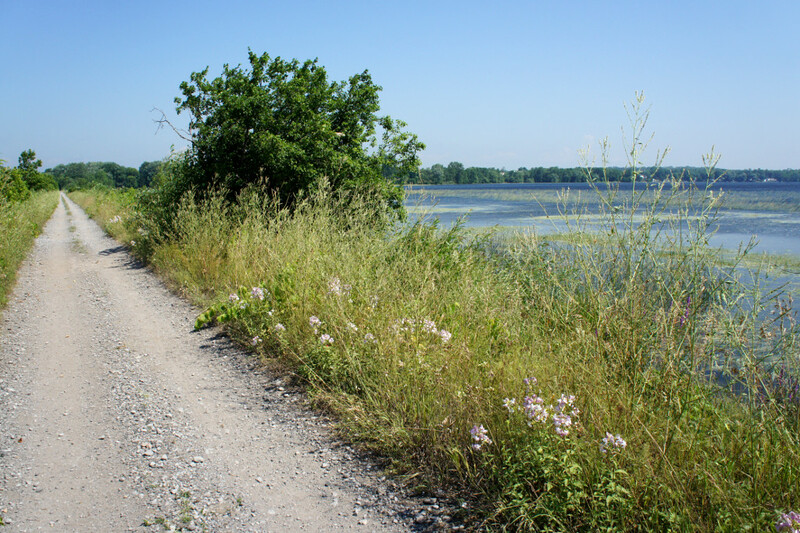 Kingston to Cobourg, Day 1: Hot, hot, hot! 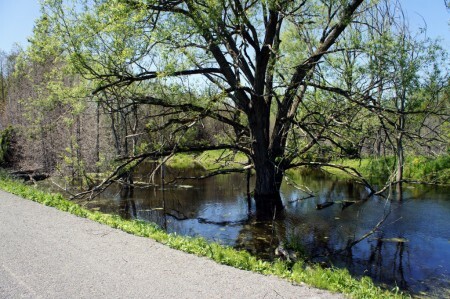 Finkle’s Shore Park on the Loyalist Parkway west of Bath. I have a piece of advice for anyone thinking about doing a two-day bike tour: make sure that the humidex is below 40°C on the first day and don’t opt for a cooling breeze in the form of a constant 45 km/h headwind—gusting to over 60 km/h—to make the second day easier going. 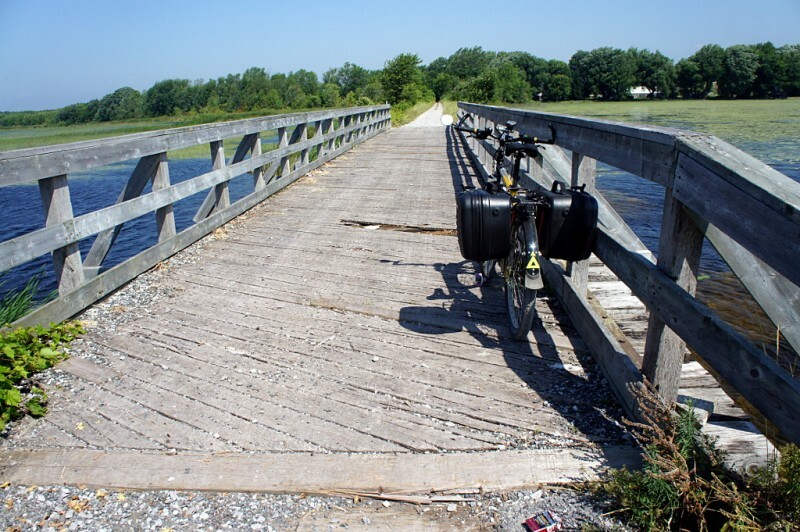 If you are unable to arrange either of these things, you’ll end up with my two-day ride from Kingston to Cobourg last month: withering heat one day, and withering heat plus an energy-sapping headwind the next. Although I highly recommend the route and had a very enjoyable ride, the weather made it much more challenging than it would have been otherwise. 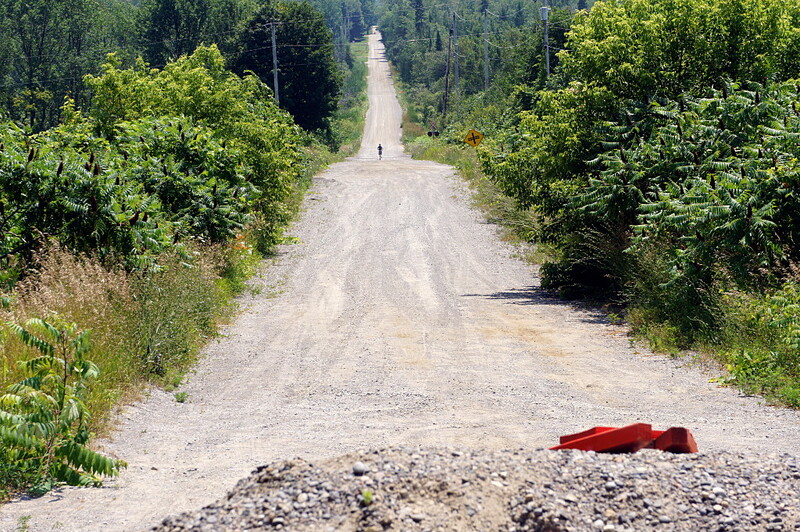 Between the heat radiating off the baking asphalt and fierce headwinds pushing me back up hills I’d just fought my way down, “brutal” was the word that came to mind—and frustrated lips—on several occasions over the two days. I mentioned in a previous post that I was in Kingston for a conference last month, which coincided with the beginning of my vacation. I decided to bring my bike on the bus with me from Toronto and make the return trip into a short bike tour from Kingston to East Dodgeville. And so I found myself pushing a loaded bike away from the curb in downtown Kingston late one sunny Thursday morning in July. The humidex was already pushing 40° but I had plenty of water, food for two meals on the road, and a number of planned stops before I’d roll into my B&B in Wellington a few hours later. The day started to unravel just ten minutes later, when I found myself desperately seeking a shade tree where I could fix my flat tire out of the burning sun. By the time I’d swapped out the old tube and found the culprit—damn you, staple!—I’d lost half an hour and a good deal of energy. Mini-pumps are great, but 100 strokes for every 10 PSI can take a lot out of you. The rough start was forgotten once I got back onto the road and left Kingston behind. My first-day route to Wellington in Prince Edward County mostly followed the waterfront, but I ventured away from Lake Ontario for a while to visit the abandoned Ernestown station. That inland jog was where I really started feeling the heat. It wasn’t so bad as long as I was moving and had a bit of a breeze in my face, but the first time I stopped to take a picture it was like I’d stepped into an oven. I almost leapt back onto the saddle to get moving again. I had originally planned to stay inland inland for a few more kilometres from Ernestown, but I decided to bust it straight back down to the water, hoping it might be a bit cooler along the lake. That little breeze off Lake Ontario is what kept me going for the next couple of hours. When they say that this is a shore road, they’re not kidding. 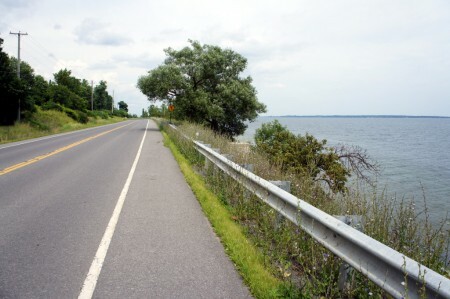 There’s basically nothing between the road and the water except that guardrail and a thin layer of gabardine. 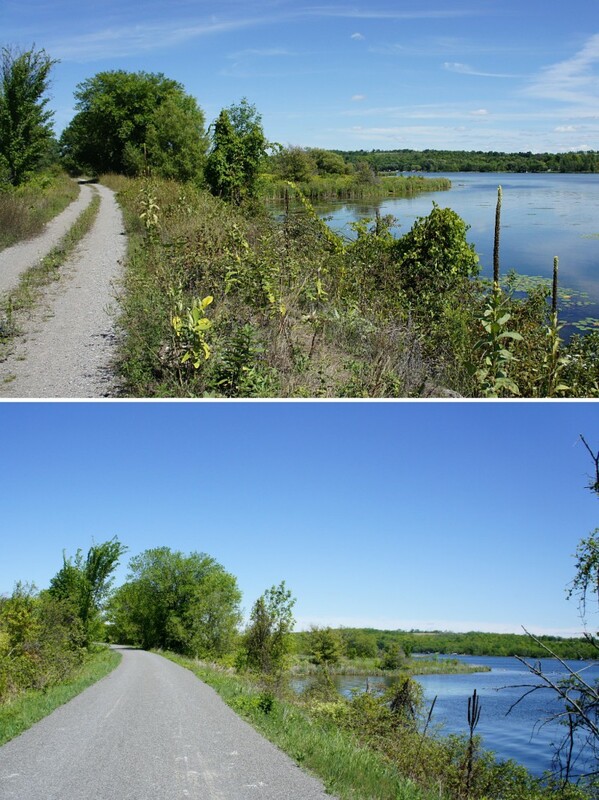 Google defaults to suggesting a route from Kingston to Cobourg farther inland through Napanee and Belleville, but I opted for the Waterfront Trail/Loyalist Parkway to Adolphustown, across the Glenora ferry, and through Prince Edward County. Once you pass Bath outside Kingston, traffic on the road is relatively light. 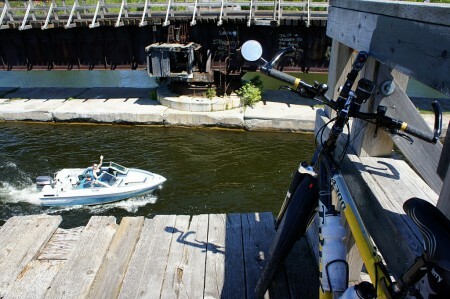 After you pass the road that goes north to Napanee, the final 20 km or so along the peninsula to the ferry is very quiet. So much so that eventually you realize that if the ferry isn’t running for some reason, you’ve got a long, lonely ride back to civilization. Check the schedule and ferry status before you leave! 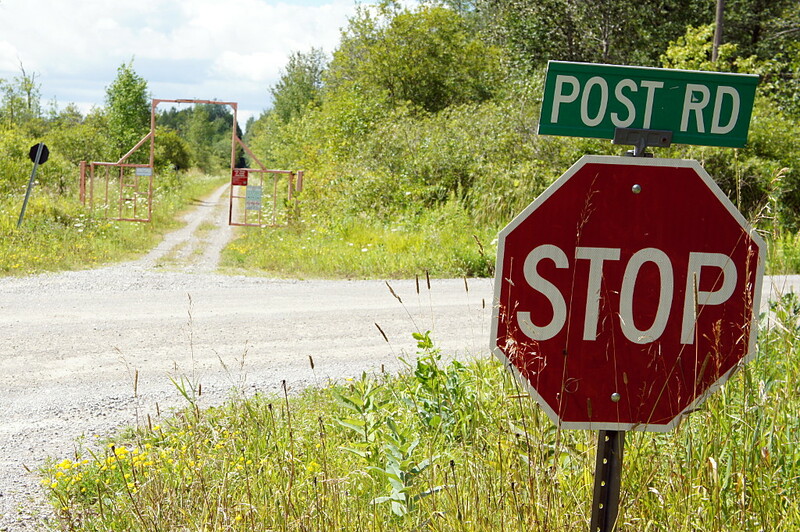 Fortunately, the ferry runs often enough in the summer months that wait times are minimal. 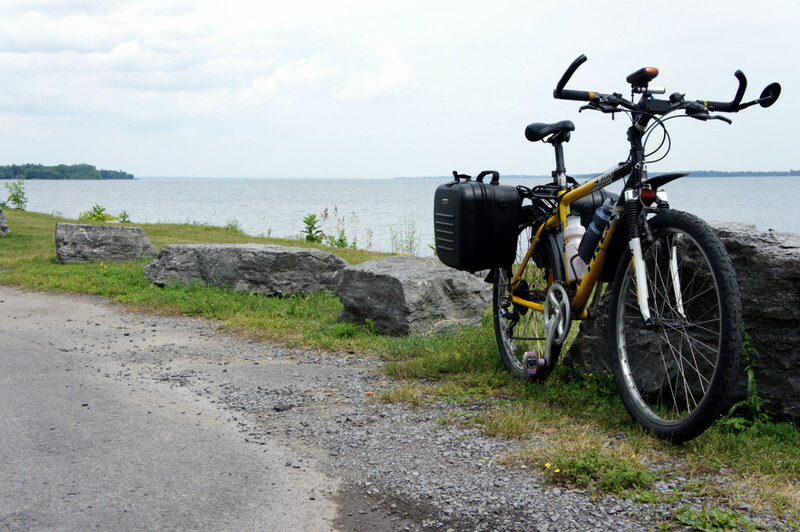 And once you cross into Prince Edward County, you’ve got many choices for riding: the main road and a rail trail both lead directly into Wellington, or you can tootle away on the grid of backroads if that’s your thing. I’d have been happy to spend more time exploring the options, but by the time I got into The County, it felt like my shirt had melted into my skin and I just wanted to have a cool shower and a sit-down dinner, in that order. Did I mention that it was hot? It was hot! I rolled up to Magnolia Meadows, a B&B that I’d found via the Welcome Cyclists website, early on Thursday evening. My hosts, Bob and Isabelle, were friendly and accommodating, storing my bike safely in the garage overnight. Isabelle makes a mean breakfast, but I’ll get to that in my next post. There’s just one thing about Wellington: this tourist town rolls up for the night very early by Toronto standards: by the time I headed out for dinner at 8 p.m. on Thursday evening, still almost an hour before sunset, only one restaurant and a convenience store were open. 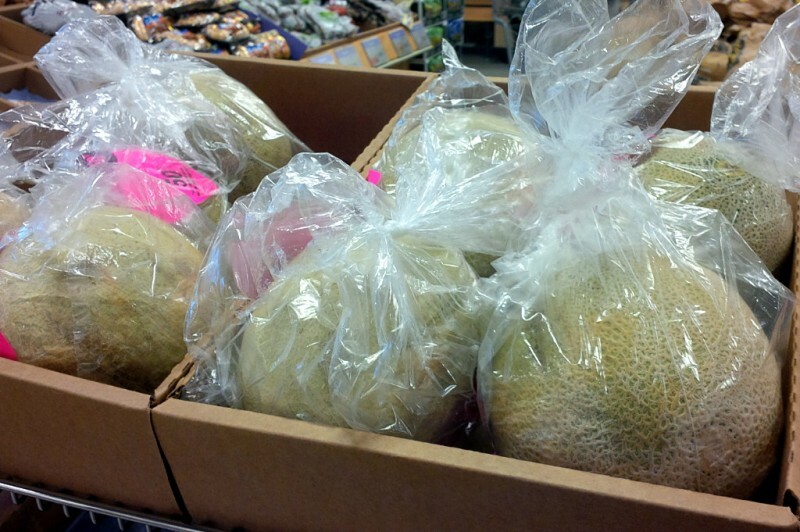 Even the grocery store was closed up tight. The restaurant where Risa and I have eaten dinner on previous visits now features a sign saying that it closes for the day at 3 p.m. Crazy! But there’s good(?) news for the scene in Wellington: the Drake will soon be opening the Drake Devonshire Inn for all of the hipster day-trippers and overnighters who ride their fixies from Toronto. I mock, but it would have been nice to have an extra choice for dinner somewhere between pork tenderloin at the pricey East and Main, or potato chips from the convenience store. East and Main was good, but busy enough that you’d think that a town that caters to tourists and sports a dozen B&Bs could support at least two restaurants open past 6 p.m. during the summer. I couldn’t get an ice cream at 9:30 because even the convenience store was closed by then. Did I mention that it was hot? But enough bellyaching. Check out the gallery from Day 1 below the fold. Coming up next: Day 2: Blow the man down! The train doesn’t stop here any longer. The abandoned Ernestown train station sits in an isolated setting about 25 km west of downtown Kingston. 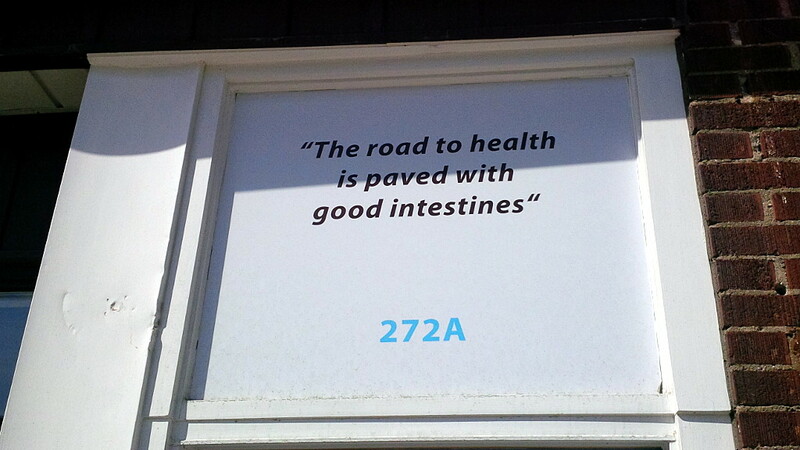 I first became aware of it as it flashed past the window of my Toronto-bound train this past winter. I vowed to return for a visit, and my opportunity came when I was in Kingston earlier this month for a conference. Originally built by the Grand Trunk Railway in 1855-6, the building is designated as a heritage train station by the federal government. 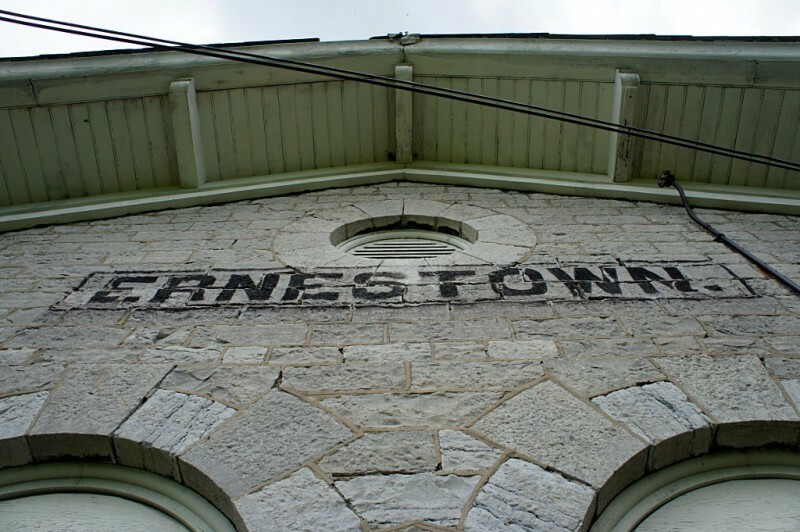 There doesn’t seem to be much local interest in doing anything with the station, which is kind of understandable given that the station is not really in a good location for any sort of community use. 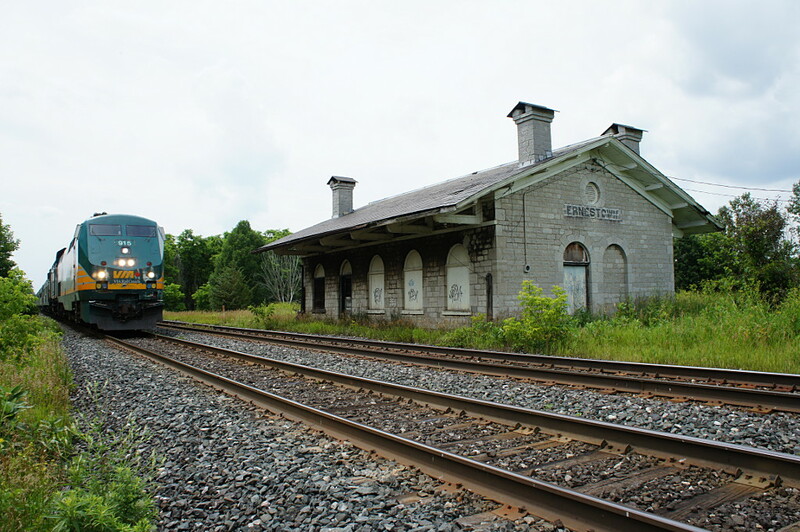 The station of similar vintage and design in Port Hope is still in use for passengers and was restored to period appearance in the 1980s. 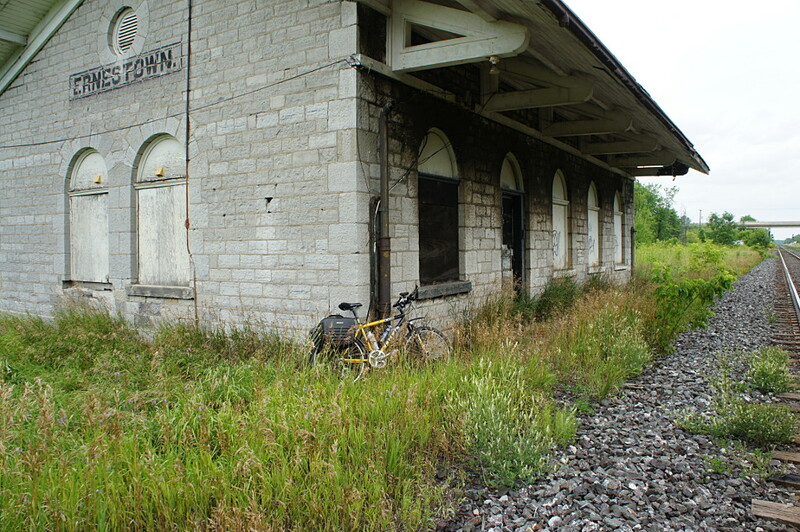 The Ernestown station is easily accessible by bike from Kingston. 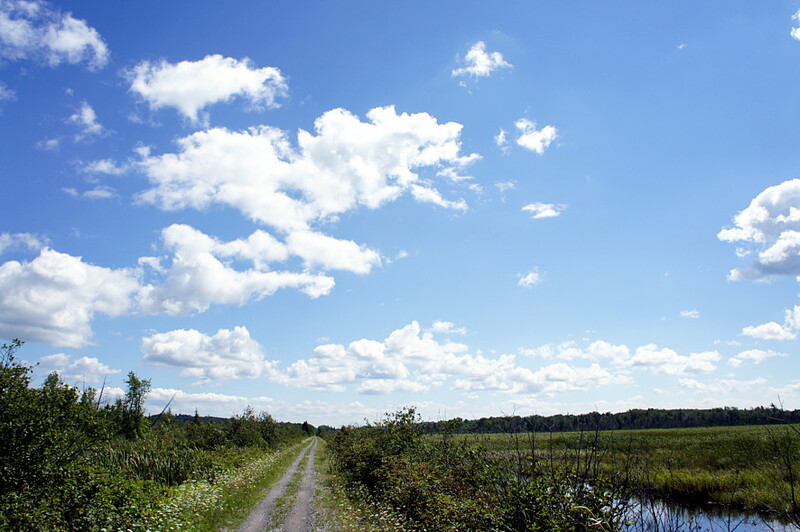 A short paved road off County Road 4 and about 100 metres of grassy double track bring you right up to the back door. I didn’t go inside, but at least one visitor has taken some shots of the interior and another has made a short video about the station and its history. 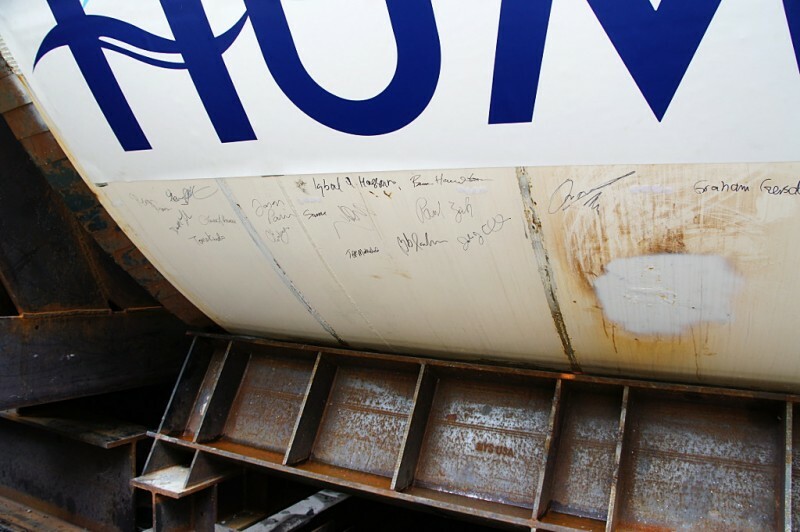 After a merciless robocalling campaign, months of behind the scenes schmoozing, and whistle stop visits from Senators Duffy and Wallin (remind me to double-check those expense forms), Don and Humber—my picks for tunnel boring machine names—carried the day, along with Dennis and Lea. I’m happy to confirm that I’ll be splitting my incredible winnings equally with everyone who helped achieve this victory by voting, mumbling their general support, or just ignoring me entirely. Please submit your mailing addresses ASAP so that I can drop your full share of absolutely nothing into the mailbox. Glen Murray, the Minister of Infrastructure, announced proudly that the TBMs for the Crosstown line were built right here in Ontario. What he didn’t announce was that the plant where they were built is closing next year. Caterpillar seems to make a habit of buying up local manufacturers only to shut them down. 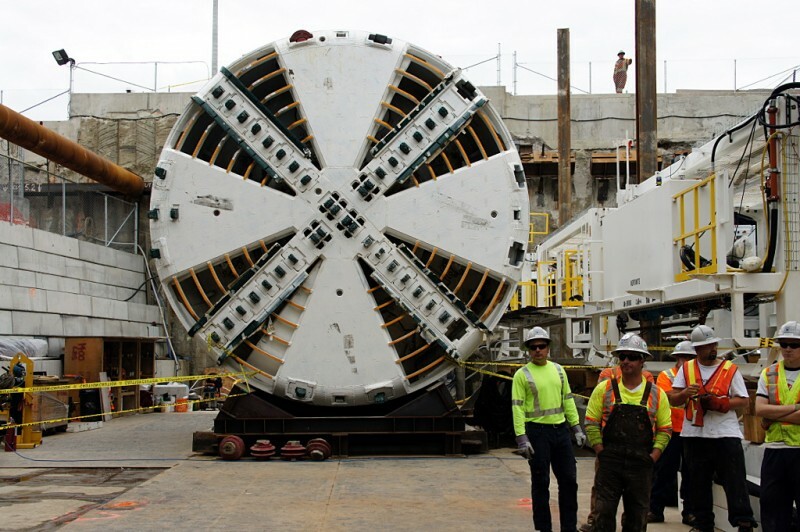 The tunnel boring machines were both impressive in size yet smaller than I expected. 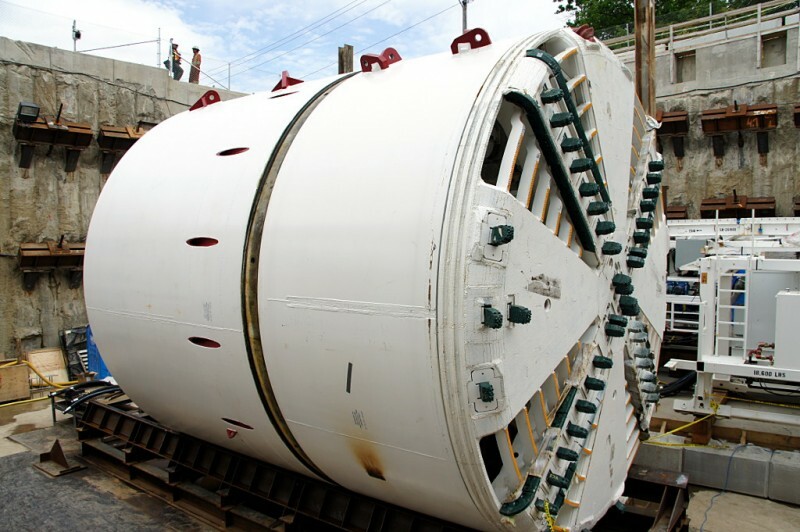 I somehow thought they’d be bigger, but I guess the thing with TBMs is that they pretty much have to be the same size as the tunnel they’re digging. 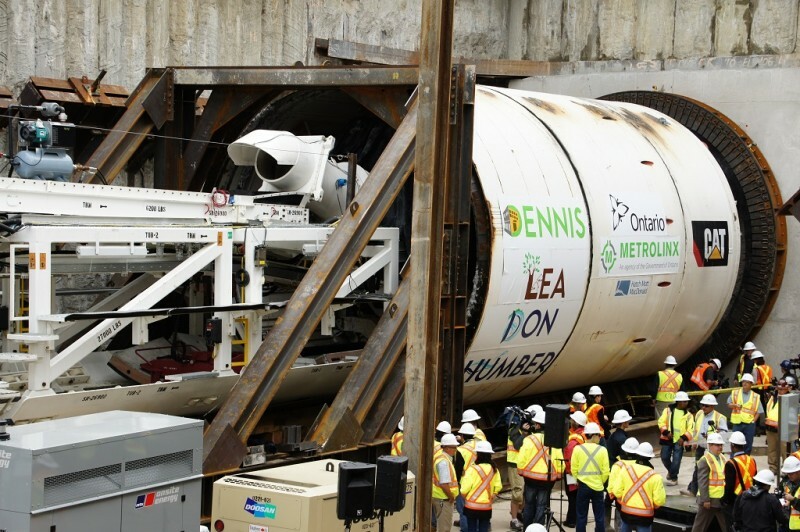 Dennis is the first TBM to start, and Lea, seen above, will be up next. 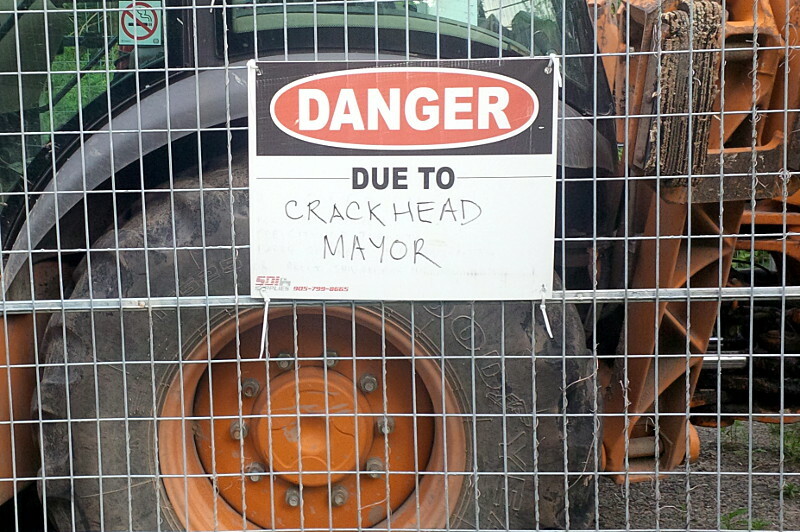 Don and Humber will be starting to dig toward Yonge Street from Brentcliffe Road in about a year and a half.